100g ball for £8.75. 1 pair of socks per ball, 6 shades to choose from! 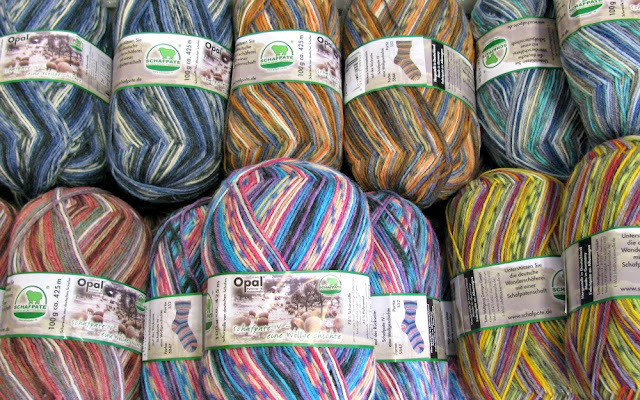 Lovely stripes with a fair isle-ish effect. We have a sample sock in the yellow shade in the shop and free sock and glove patterns too. *Until the next colour theme comes along!